Texas community has a place for the star-struck. In the pantheon of community amenities, first, there were golf courses. Then came pools and clubhouses and gyms. Pickelball was invented. Later, agrihoods. Now, witness the birth of the star-gazing amphitheater. Headwaters, in Dripping Springs, Texas, west of Austin, features amenities including broad greenbelts, five protected hilltops, a resort-style split-level pool, a Wi-Fi café, and eight miles of trails. But the 1,035-acre community under development by Freehold Communities also has a star-gazing amphitheater. Perched atop a protected hilltop in the center of Headwaters is Homestead Park, with the remnants of the original ranch home of the Townes family built in the last century. The structure has been carefully deconstructed, revealing stone masonry handiwork. This is the setting for the amphitheater, with its protected views of Texas Hill Country. 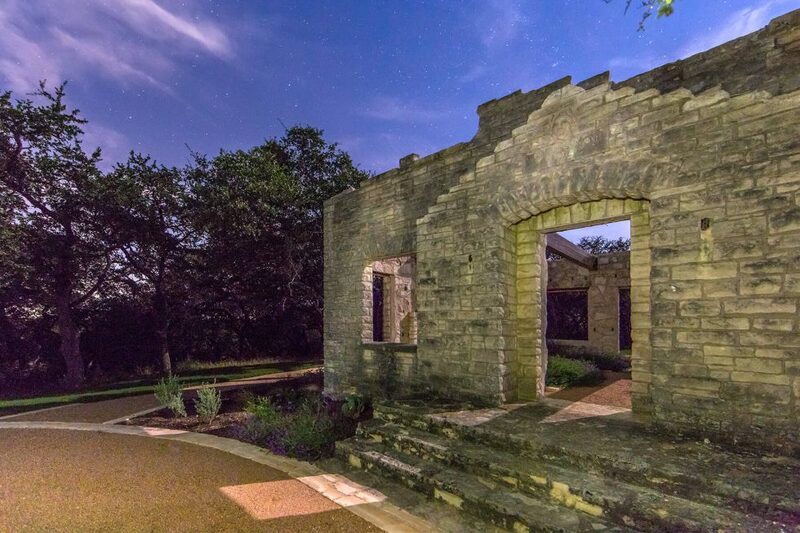 As the first Dark Sky Community in Texas and a member of the International Dark-Sky Association, Dripping Springs requires smart lighting solutions that reduce glare and sky-glow to protect the night sky. Headwaters has carefully chosen lighting options that comply with stringent light-pollution-reducing guidelines without sacrificing the community aesthetic. The Homebuilders Association of Greater Austin (HBA) recently recognized Headwater’s star-gazing amphitheater with a Sales and Marketing (MAX) Excellence Award: Best Unique Feature for a Community. Hollywood’s got nothing on Headwaters.